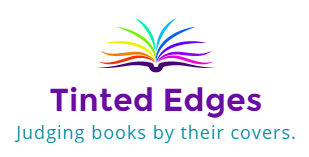 Some of you might already know that in addition to this blog, Tinted Edges also has a Facebook page and a Tumblr page. Not too long ago I got a PM via the Tinted Edges Tumblr page asking me to review an e-book. Of course I said yes. “Haze” by Brandon J. Barnard is a dystopian novella set in the UK in the 2070s – a dark place where air outside is poison. Jack Decker is a PA in a London company who is as awkward as he is unsatisfied in his work. He spends his spare time reading and Digital Diving, escaping into perfect virtual worlds. One day he meets a new girl at his work called Haze and all of a sudden his grey world is painted technicolour. Caught up in his new romance, the last thing Jack wants to do is think about his past but it starts to catch up with him anyway. This book was quite a surprise. Barnard has a rather lyrical and humorous way of writing and the subject matter was subtle and nuanced. Although there were a few clever technological concepts throughout “Haze”, I think this book would have almost worked just as well in current times. The themes explored by Barnard are extremely topical to today’s society. My only criticism is that “Haze” gets off to a rather slow start and it’s not until about halfway through the book that Barnard starts to really hit his stride. A strong debut by a self-published author, “Haze” was an unexpected and enjoyable read and I look forward to seeing what Barnard comes up with next.